BERYLLS RECEIVES THE BRAND EINS BEST CONSULTANTS AWARD – FOR THE FOR THE FOURTH TIME RUNNING. 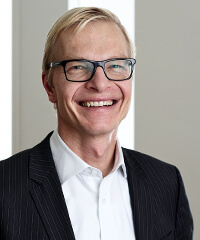 Successful consulting work by Berylls Strategy Advisors in 2019 has been honored with its fourth “Beste Berater” award since 2016. In the ranking of the best consultants, Berylls has taken three top places, in the Automotive & Suppliers industry, as well as in the fields of Strategy Development and Innovation and Growth. Of around 20,000 management consulting companies throughout Germany, only 308 made it onto the brand eins best list in 2019. Munich, April 12, 2019 – It was the ninth year in succession that companies in the consulting industry saw their business booming. In 2018, revenues were therefore at EUR 33.8 billion, and therefore clearly above 2017. Specialists were particularly in demand last year – a trend that is also continuing in 2019. It was against this background that the magazine brand eins Wissen and the statistics portal Statista published their large-scale consulting industry report, which has now been an established voice in the consultancy scene for the sixth consecutive year. The Beste Berater Award is undoubtedly one of its highlights. Berylls Strategy Advisors has now been honored with this title for the fourth time running, and is thereby continuing its ongoing success story. This distinction is also particularly valuable since it is awarded by an especially highly qualified jury: The conclusions drawn by brand eins and Statista are based on appraisals by around 3,200 top managers who work either in managerial positions in consulting firms, or are in executive posts with the clients of these companies. BERYLLS GAINS TOP RANKINGS IN AUTOMOTIVE & SUPPLIERS, STRATEGY DEVELOPMENT AND INNOVATION & GROWTH. A glance at the portfolio of the Munich-based leading management consultant makes it clear why Berylls was represented three times in the brand eins Award 2019, and can now count itself among the leaders in the Automotive & Suppliers industry, as well as among the best in the fields of Strategy Development and Innovation & Growth. The majority of the projects that Berylls works on now involve issues of big data, AI (artificial intelligence), electrification, mobility services, autonomous driving and connectivity. Typical examples of this are the setting up of a futureproof mobility portfolio with its own brand for a major OEM and developing an entirely new business field for an automotive supplier in the field of e-mobility. They are proof of Berylls’s deep commitment to shaping the key innovations in the automotive world. Around 124,000 consultants work in Germany, distributed among almost 20,000 management consulting companies. Of those, only around one percent made it onto the brand eins best list. Those who want to make it here must prevail successfully against legions of competitors. The top positions, are decided on by the notably expert “Beste Berater” jury, with a profound understanding of the industry. The jury members assess the services that they themselves have used as clients, or are familiar with from their day-to-day business. 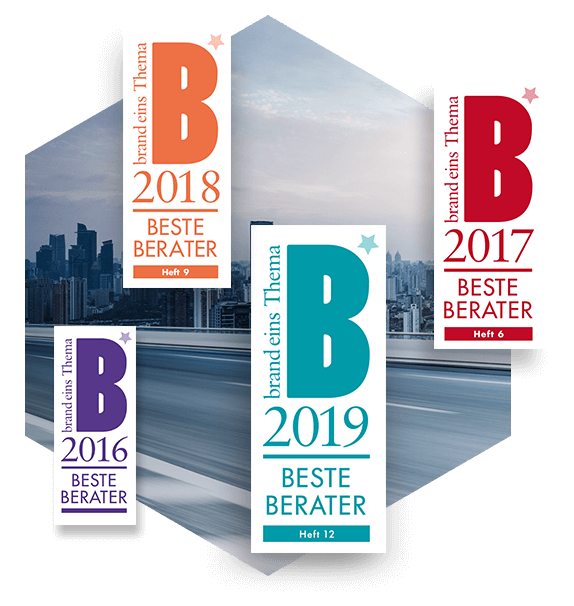 According to Dr. Jan Burgard, managing partner of Berylls: “We founded Berylls just eight years ago, and have already received our fourth “Beste Berater” award – we are delighted by that. To win out as a young company, we have to distinguish ourselves from the competition, who have all been in the market for decades. We are agile, pragmatic, and sometimes challenging: Berylls is refreshingly different – that is part of our recipe for success.” Berylls cultivates a working style, analytical skills and the entrepreneurial mindset of a top management consulting company, which are obviously appreciated by clients and competitors alike. The many awards won by Berylls are clear proof that the Munich-based automotive management consulting company has long gained itself a prominent place among its competitors with decades of experience. Andreas Radics, managing partner at Berylls, says: “The challenges faced by the automotive industry faces are more complex than ever. Berylls is part of this industry, a fact that is once against impressively underscored by this award. We no longer see our role as just that of strategists, since the end 2 end implementation of the topics is becoming increasingly important at Berylls.” Our clients are not fazed at all by extensive technical discussions. This is because Berylls’s experts and their clients meet as equals – another characteristic of the Munich-based consultants.